Hippy! 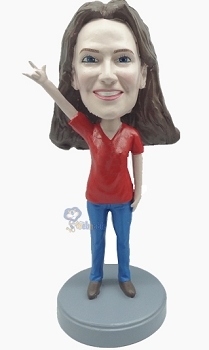 Casual custom female rocker bobblehead doll stands straight with left hand besides her and her right hand giving a Hippy Sign. Nice gift for a celebrant.